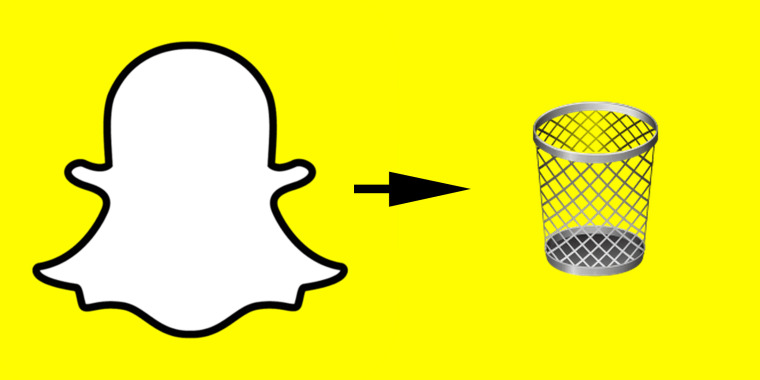 Learn how to delete or deactivate your Snapchat account in only a few steps. Snapchat is unlike any other social media app, with its photos disappearing after only a few seconds. And given all of its fun features, like the goofy selfies, real-time life updates and dog filters, it's easy to get carried away with the photo-sharing platform. But what do you do when you want to take a break from Snapchat? Or even get rid of it entirely? Whether you're getting rid of Snapchat in favor of Instagram Stories, because you hate the Snap Map feature, or simply because you don't like it, it only takes a few minutes to delete or deactivate your account. Snapchat's website explains, "While your account is deactivated, your friends will not be able to contact or interact with you on Snapchat. After 30 days, your account will be permanently deleted. This means that your account, account settings, friends, Snaps, Chats, Story, device data, and location data in our main user database will be deleted." 1. Go to Snapchat's account portal (https://accounts.snapchat.com/accounts/delete_account). This page can also be accessed by going to Snapchat.com, scrolling to the bottom of the page and selecting "Support." Then go to "My Account & Security" and click "Account Information." Finally, select "Delete An Account." 3. Enter the security code sent to the phone number linked to the account and click "Submit." 4. Enter your username and password again. Then, click "Continue" and your account will be deactivated. Trying to detox from social media entirely? Follow our step-by-step guides to deleting Facebook, Instagram and Twitter.